Cushy Kid Baby Kayla is a cute little koala bear just waiting for a new home. With gray fur and fluffy white ears, this stuffed koala is sure to win your heart. The elastic loop makes Cushy Kids plush koala Baby Kayla a great take-along friend. 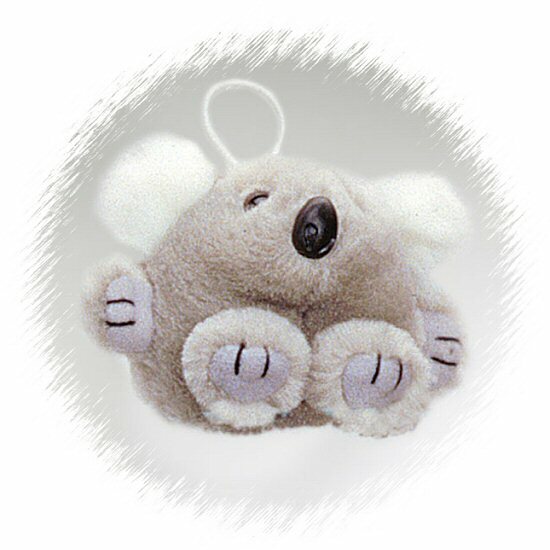 Baby Kayla plush koalas not only make wonderful gifts, but they are also perfect as ornaments, package tie-ons, and birthday bag favors. This huggable plush koala has a wonderfully cuddly body with soft fur of light gray and white and a sweet face. Baby Molly, this adorable Cushy Kids stuffed moose, has stuffed felt horns and soft brown fur.